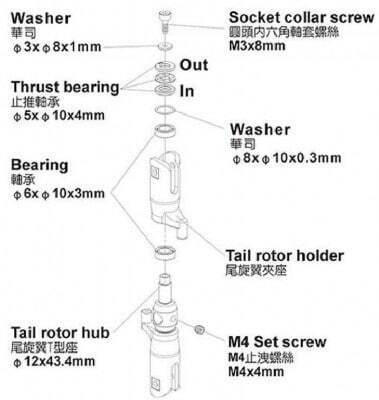 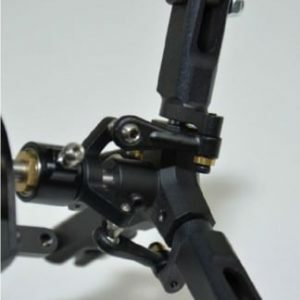 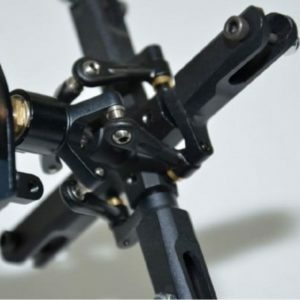 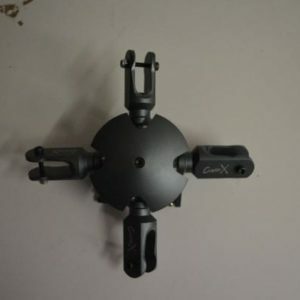 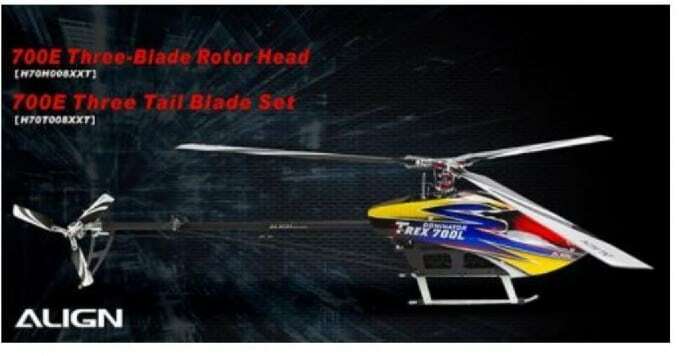 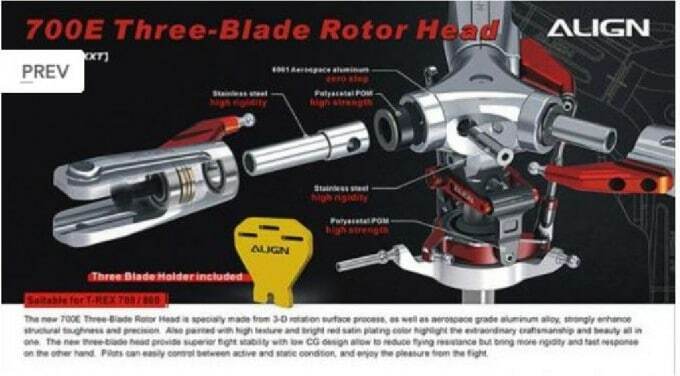 • The new 700E Three-Blade Rotor Head is specially made from 3D rotation surface process, as well as aerospace grade aluminum alloy, strongly enhance structural toughness and precision. 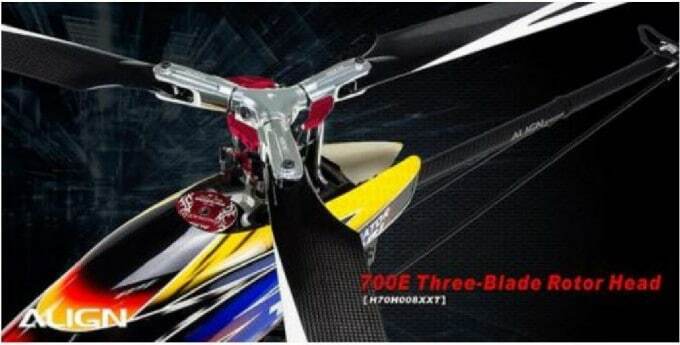 Also painted with high texture and bright red satin plating color highlight the extraordinary craftsmanship and beauty all in one. 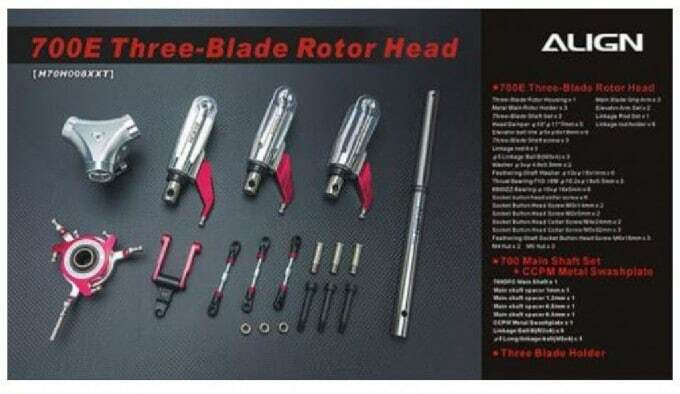 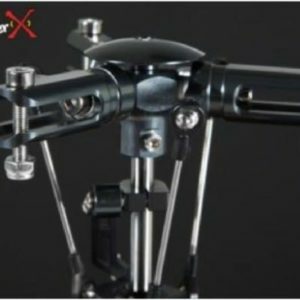 The new three-blade head provide superior flight stability with low CG design allow to reduce flying resistance but bring more rigidity and fast response on the other hand. 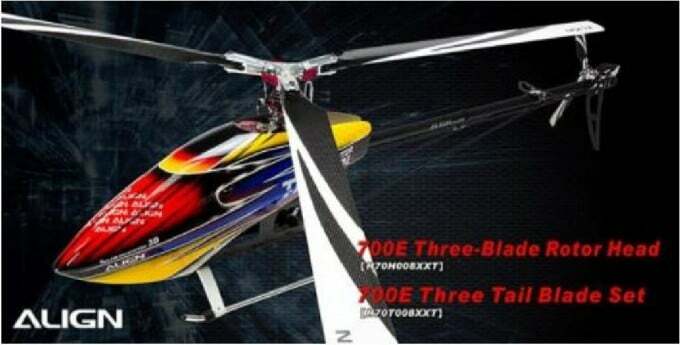 Pilots can easily control between active and static condition, and enjoy the pleasure from the flight.